In Lancaster Cemetery there stands a striking memorial to local men who lost their lives in the Russian War, 1854-56. Although it is close to one of the city’s best-known landmarks and tourist attractions, the Ashton Memorial in Williamson Park, its existence is not well known. It takes the form of a large limestone obelisk standing on a square podium occupying an elevated site overlooking the city, and must have been very prominent when it was erected, whereas it is now party obscured by trees. To The Imperishable Memory of The Brave Soldiers and Sailors Natives of Lancaster and the Neighbourhood Who fell in the RUSSIAN WAR AD MDCCCLIV – V – VI This monument Erected by Public Subscription is dedicated. The following are the names of those commemorated and the results of research on them. Seaman Edward Parkinson, HMS Valiant. Drowned in the great gale off Balaclava, 14 November 1854. Aged 23 years. Gunner William Vere, Royal Artillery. Died from the effects of wounds received in action, June 1855. Aged 23 years. Private William Lund, 3rd Battalion, Grenadier Guards. Died of wounds in hospital at Scutari, Turkey, 21st January 1855. Aged 33 years. (One report states that he died of wounds on board HMS Monarch on that date.) A gravestone in Lancaster Cemetery bears the following inscription:- ‘In Memory of John Parkinson who died 11 August 1873 aged 93 years. Also William Lund who died Scutari, 21st January 1855 aged 33 years. Also Martha, his widow, who died 21st April 1879, aged 59 years’. Private Stephen Hayhurst, 3rd Battalion, Grenadier Guards. Killed whilst on picquet duty before Sebastopol, 7th January 1855. Aged 24 years. Number 6090 Private William Grime, 3rd Battalion, Grenadier Guards. Wounded in the trenches before Sebastopol and died on the passage home, 1st May 1855. Aged 25 years. Private Thomas Miller, 3rd Battalion, Grenadier Guards. No further information on this man. Number 5095 Private Daniel Thompson, 1st Battalion, Scots Fusilier Guards. Killed in the trenches before Sebastopol by a shot from the Redan, 4th August 1855. Aged 23 years. A native of Lancaster who, on the Militia being embodied, enlisted in the 1st Royal Lancashire Militia (Duke of Lancaster’s Own), the Headquarters and Depot of which were in Lancaster, served with them as part of Portsmouth Garrison and was promoted to Corporal. Subsequently enlisted, with other comrades, in the Fusilier Guards with whom he served at Headquarters in or near London and, after trying for some time, was drafted to the Crimea, were he served about six months. Lance Corporal James Waterhouse, 1st Foot (The Royal Regiment). Died of cholera at Varna, Bulgaria, 15th August 1855. Aged 25 years. Private William Leadbetter, 1st Foot (The Royal Regiment). Blown up by the explosion of a magazine in Sebastopol, 16th September 1855. Aged 19 years. Number 3487 Private William Dawson, 4th Foot (The King’s Own). Severely wounded in action on 16th January 1855 and died in hospital at Scutari, Turkey, 12th February 1855. Private George Nimmo, 4th Foot (The King’s Own). Died from the effect of wounds received in action, in hospital at Scutari, Turkey, 10th January 1856. Aged 27 years. Private William Raby, 4th Foot (The King’s Own). Died in the hospital tent before Sebastopol, 21st March 1855. Aged 41 years. Private Robert Gardner, 21st Foot (North British Fusiliers). Killed in the trenches before Sebastopol, 11th December. Aged 21 years. Number 2122 Private Matthew Fell, 23rd Foot (Royal Welsh Fusiliers). Present at the Battles of Alma and Inkermann. Taken prisoner by the enemy before Sebastopol, 20th December 1854 and died in the hospital at Simpheropol, 21st December 1854. Aged 40 years. 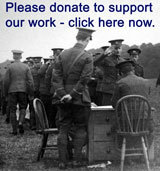 Some of his letters from the Crimea to his wife in Lancaster were published by ‘The Lancaster Gazette’. Number 3558 Private Robert Kirk, 44th Foot (East Essex). Dangerously wounded during the first attack on the Redan, 18th June 1855 (listed in ‘The Lancaster Gazette of 14th July 1855) and presumably died as a result. Family home was at Scotforth, Lancaster. Private William H L Quittenton, 49th Foot (Princess Charlotte of Wales’s or Hertfordshire). Reported in ‘The Lancaster Gazette’ of 1st September 1855 as having died of disease. Believed to be the son of Henry Quittenton (Cordwainer of Lancaster) and Mary Quittenton. Private Richard Brown, 55th Foot (Westmoreland). Died of cholera in the camp before Sebastopol, 25th June 1855. Aged 31 years. Private Richard Bleazard, 72nd Foot (Duke of Albany’s Own Highlanders). No further information on this man. William Whitehead, Land Transport Corps. Died of fever in hospital at Scutari, Turkey on 2nd April 1856. Aged 34 years. 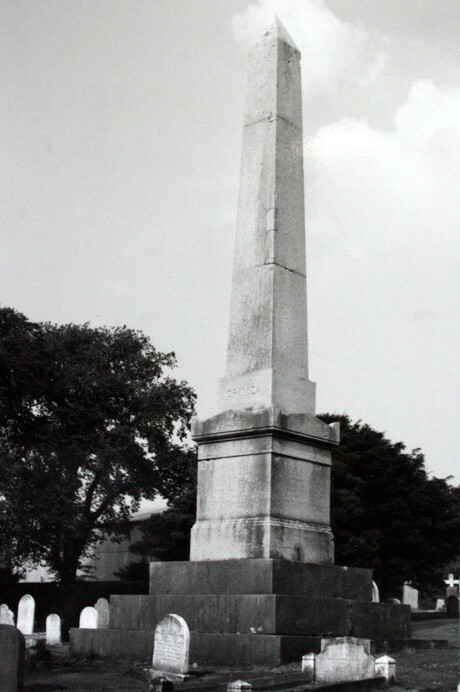 The Memorial was Dedicated at a public ceremony on Thursday 8th November 1860. A detailed report of the proceedings was published in ‘The Lancaster Guardian’ of 10th November 1860. Information from the museum’s collection, Cross Fleury’s Time-Honoured Lancaster (1891) and research by N Rowlinson.